Chief Monze of the Tonga speaking people of Monze District has appealed to government to expedite the distribution of relief food to affected households to prevent any loss of lives in his area. Senior Chief Monze said it was important for the relief food to be given to affected households who had poor yields in the 2017/18 as soon as possible. “Let government send relief food in my area because most of my subjects recorded poor maize harvests during the 2017/2018 farming season and are now facing serious hunger,” he said. And Kaila ward councillor Mukambala Mwango also told ZANIS in an interview that more than 1,200 households were facing serious hunger in the ward. Mwango called on relevant authorities in the district to quickly send relief food to help starving families before any loss of lives. “We started calling for relief food a long time ago but we are thankful that government has responded however, our concern now is that let the relevant authorities in the district start distributing that relief food to affected households as soon as possible because if there more delays, it will not be a surprise if we lose lives as the hunger situation is dire in the ward ,” he said. But Monze District Commissioner Cyprian Hamanyanga said the distribution of the relief food would begin as soon as he received green light from the provincial administration. The District Commissioner also said government has released 30 metric tonnes of food for sale to people who could afford it. Meanwhile, Senior Chief Monze has advised the Monze District Council to ensure that the Constituency Development Funds (CDF) was utilised as soon as it was received for projects that would benefit local communities. Few years back, more than K2 million CDF allocated to Monze District Council was returned to the treasury because the local authority allegedly failed to utilize it. 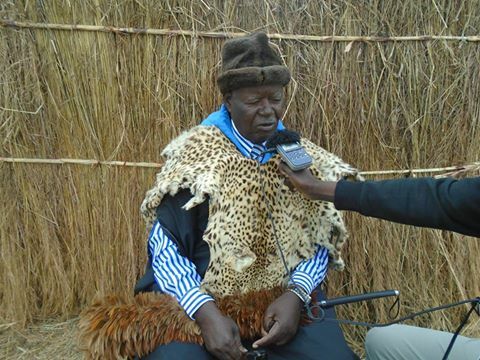 Senior Chief Monze has also called on the council to work on all the bridges and Sikasiwa dam which he noted was in deplorable state and posing danger to surrounding villages.